This top-shelf Alaskan outing is a must for avid fishermen. Spend a full day atop Juneau’s thriving waters endeavoring the catch of a lifetime! Protected from the ocean winds, Auke Bay is a return spot for many fishing enthusiasts because of its notably calm waters and abundance of healthy salmon. In fact, Alaska is home to the best salmon fishing in the world. Sockeye, king salmon, coho—you’ll find them all in abundance. You also get to enjoy waters populated with numerous species of beautiful marine life. It’s not uncommon for visitors to spot a humpback or two during the trip. Set off from Auke Bay, swarming with loads of hungry fish. Enjoy the comforts of the spacious vessel, equipped with a washroom and a hydrophone. It’s also heated for those chillier days. 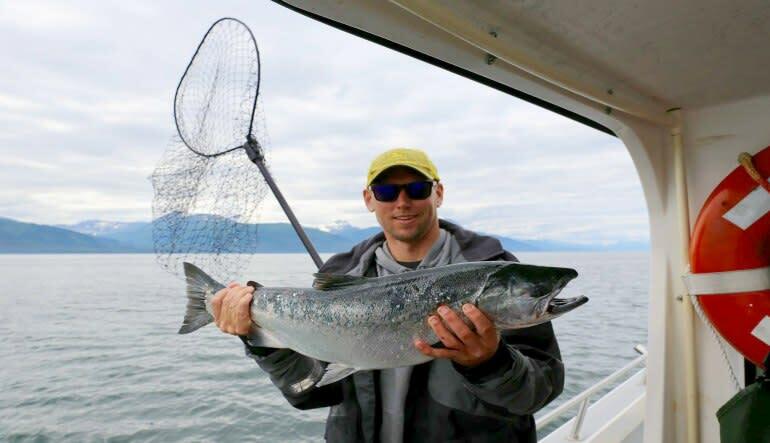 Cast your line with provided bate and equipment and reel in some of the world’s healthiest salmon!This top-shelf Alaskan outing is a must for avid fishermen. 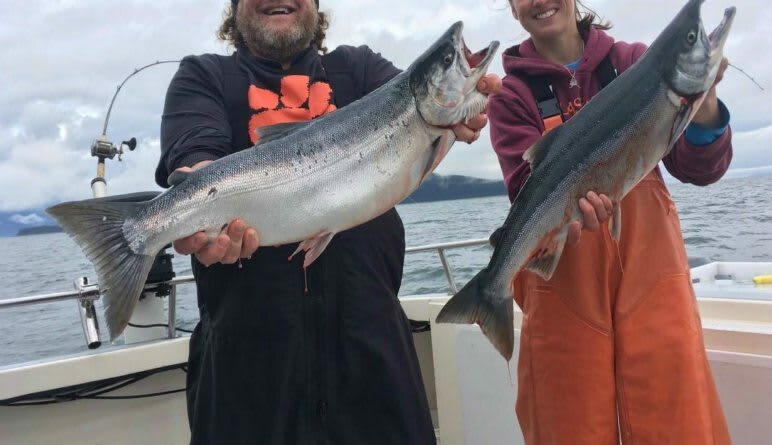 Spend a full day atop Juneau’s thriving waters endeavoring the catch of a lifetime!